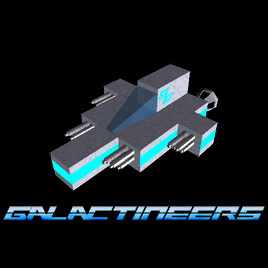 „Galactineers is a genre-mix of open world sandbox game and realtime strategy game, which is located in space. You can use blocks, buildings, and other items to shape the world to your imaginations. 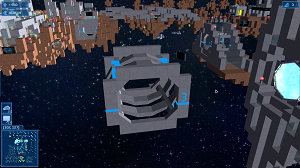 Core feature of the game is the Ship Designer in the factory building. Wether you need harvesters, cargo- and construction ships, observers, or even battle ships, the ship designer is the tool to create and customize your ships. 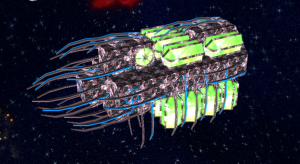 You can choose from nearly 50 different block materials andhundreds of ship modules and stickers to customize your creation in look and functionality. Higher level factories allow you to access more and higher level ship modules, but also allow you to build bigger ships.You can research, to unlock more materials, ship modules, or higher building levels. Explore space to discover ressources, pirates nests, extra-terrestrial stations, PVP arenas, and PVE missions. In PVP arenas, you can face off with your friends and see who built the best battle ships. You can bet for ship construction plans or ressources. In PVE missions, you’re challenged with a quest or objective, which you can try to accomplish alone, or cooperatively with up to 4 players. Win precious ressources, or unlock more ship modules for the ship designer. 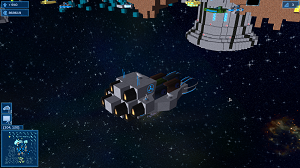 Not only can you shape the world and ships to your imaginations, the game is also highly customizable! 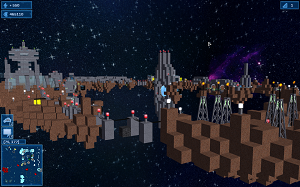 You can create own texture packs, add recipes to the foundry to modify the economical processes, or create asteroids, stations, or buildings in the Object Editor.